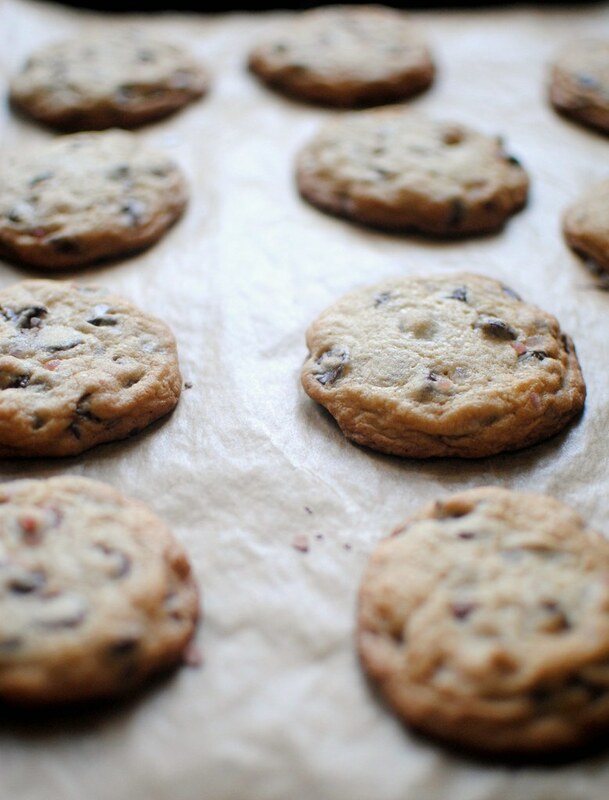 salted chocolate chip cookie perfection. With the exception of triple-stuffed oreos and flourless peanut butter cookies, I'm not crazy about cookie baking. 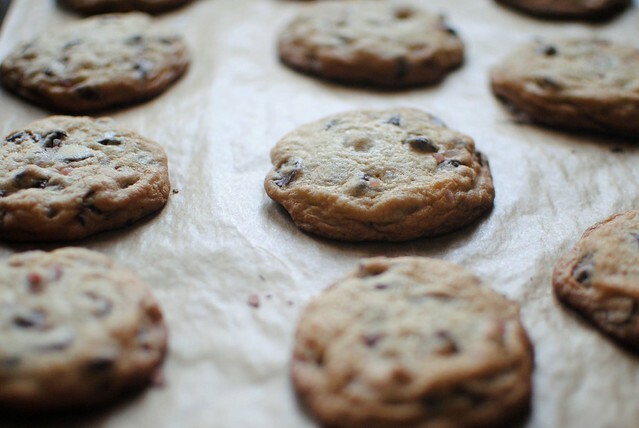 Store-bought dough often tastes just as good and my homemade dough has been known to bake into one giant cookie, which leaves me with many moral dilemmas (Do I eat it and justify it by calling it one cookie? Do I put icing on it and call it a cookie cake?). In short, cookies just don't seduce me like other baked goods (read: caramel salted brownies). 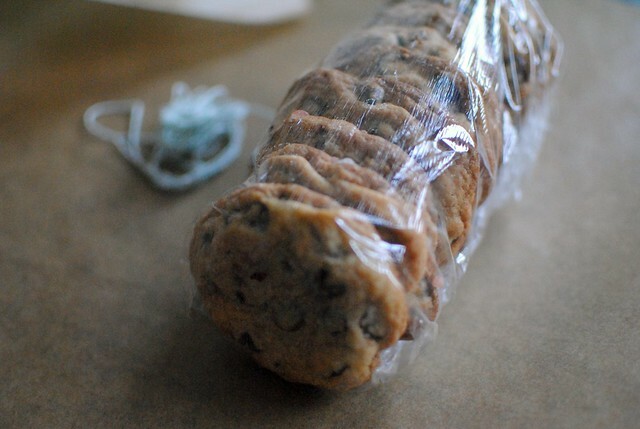 However, I was recently reminded (at Baked) that nothing beats a good chocolate chip cookie. I started out with the Baked recipe, increased the amount of chocolate chips to an unreasonable amount, and generously sprinkled coarse pink sea salt on top. Warning: it's too easy to eat this dough by the spoonful. Mix the butter and sugars with an electric mixer (or a fork if the butter is soft enough). Add the eggs and vanilla. 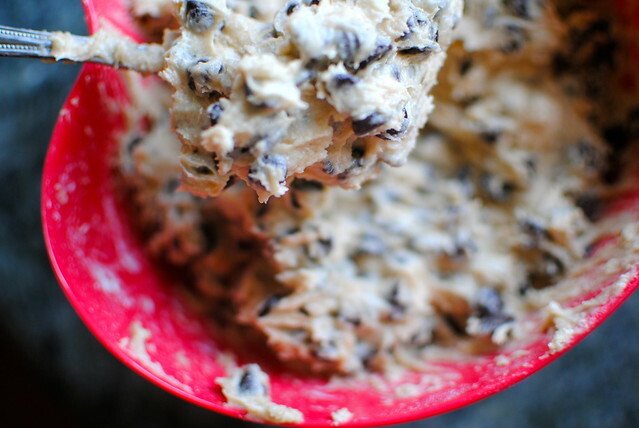 Then add the flour, salt, baking soda, and chocolate chips last. 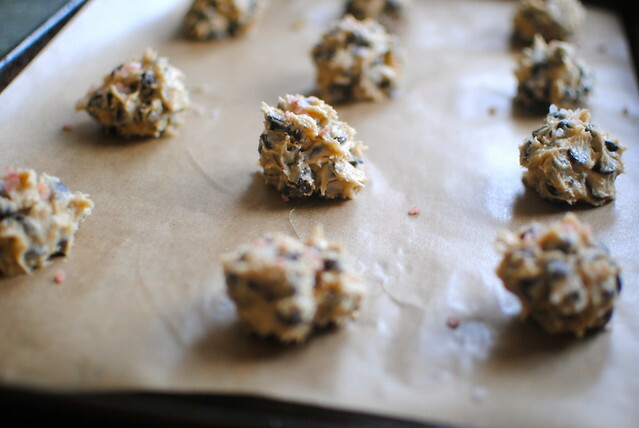 Scoop tablespoon-sized balls of dough on parchment paper a couple inches apart, and sprinkle generously with coarse sea salt. Bake at 375 degrees for about ten minutes. These wondrous little cookies will make your heart sing. I promise.